Today sees the publication of part four of Victoria Walters Random Acts Of Kindness and I truly cannot wait to devour it. Although I will miss Littlewood and it’s residents. When I started writing my four-part serial, Random Acts Of Kindness, I was sceptical at how much kindness there really was in every-day life. The story is set in a small surrey (fictional) town called Littlewood and follows three women over one summer who discover that kindness can change your life. There is an act of kindness in the very first chapter, which starts a butterfly effect of acts of kindness through the story, and inspires the three women to make a pact to be kinder to both other people, and to themselves. After I had written the first part, I experienced an eerily similar act of kindness to one of main characters. I was in a shop and suddenly realised that my handbag was no longer hung on my shoulder. I immediately panicked and frantically tried to retrace my steps in the store. There was no sign of it so I assumed it had been taken by someone. It’s a shame that was my first feeling but I thought it had gone. Then I turned around and saw a woman coming up the escalator carrying my bag. She worked for the shop and had seen it fall off my shoulder (note to self-do not wear a leather jacket with a gold chain strap in future – it slips right off!) and had picked it up and tried to find me in the shop. I was so grateful, I gave her a big hug! I think she was surprised but no more than me that someone had found my bag, and reunited me with it. What was so crazy about this act of kindness was the mirror to my book. In the first chapter, Abbie has arrived in Littlewood from London and she drops her bag at the train station. Later, she is stunned to have it handed back to her by a stranger who followed her to a local café called Brew. Brew has a kindness board where customers write up acts of kindness that others have done for them, and it inspires Abbie, the stranger Eszter, and Abbie’s sister Louise to do their own acts of kindness. I love the idea of kindness having a pay-it-forward effect on people. As I wrote Random Acts Of Kindness, I have noticed kindness so much more than before. If you look for it you do see so much of it that my faith in human nature has been restored. Even if it’s just someone giving you a compliment or holding the door open for you, all these small things can really make someone feel special, and turn their day around. I really hope my story inspires readers to make kindness more of a priority in their lives, and I’m definitely trying to make it more of one myself. Thank you Victoria for joining me here at Hayley Reviews. I also would like to make kindness more of a priority in my life too. Sometimes the smallest things can mean the most to others and we should also all be kinder to ourselves, I am getting better at that but I can be my own worst enemy. If you haven’t devoured this gorgeous series then be sure to do so part one is free and the others are 99p each what a bargain. Before I go here are my reviews from the first three parts. Keep your eyes peeled for my thoughts on finishing the series this week. I’m getting the bus into work instead of my usual walk so I can start devouring this beauty. Saying goodbye to Littlewood will be hard but being kind should be part of our everyday existence. Happiest of publication days to Paige Toon for the gorgeous Five Years From Now. A novel that sucked me in and spat me out in the greatest sense of the word. The characters are loveable and you will honestly be invested in them from the off. Nell and Vian/Van were my favourites from the off. Here is my review for Five Years From Now one of my favourite reads this year. I haven’t had Paige in my life for long but every one of the novels of hers that I have read have been outstanding. I started with Last Piece Of My Heart another novel that had me laughing and in tears. Which was then followed by The One We Fell in Love With and then Thirteen Weddings and the Christmas short A Christmas Wedding. So from my links there are two I shamefully haven’t reviewed wow this won’t happen again lol. Last July I was lucky enough to meet Paige for the first time at YALC, and since then we have met a few times. Not only is Paige an awesome writer she’s a lovely and humble human being and every-time I speak to her I’m inspired and grateful. So to everyone who has devoured all of Paige’s glorious collection what should I read next? So what are you waiting for get ordering this beauty. Five years from now link I will be on the hunt for the pink one from Asda I’m not sure my local Asda does books but that will be my mission. As I say I’m all ears to what Paige novel I should devour next I also love Audible so let me know if I should listen. Blurb: Sometimes the things we never say are the most important. Last July I came across this beauty of a book via Twitter along with the author Darren O’Sullivan. I have said this before and I will say it again I discovered this book at a time I really needed to chill and take my mind off the world and my poorly ankle. 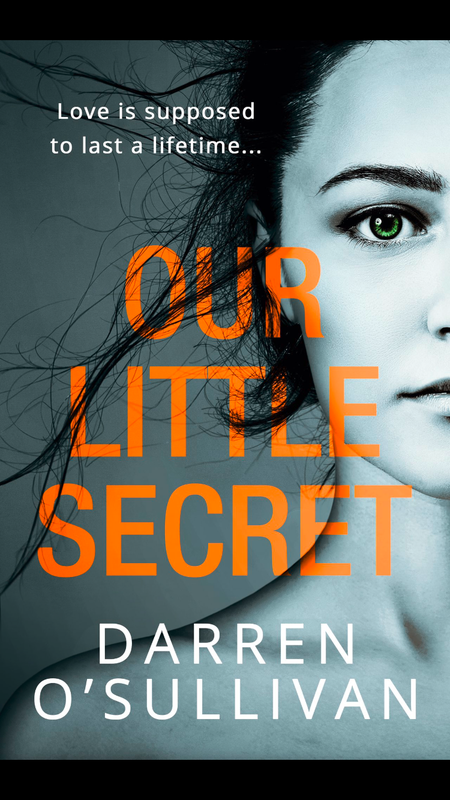 Our Little Secret did that and so much more I was so invested in this story – the cover is gorgeous and Darren is such an appreciative author to readers and bloggers alike. We had a number of chats on Twitter and there had always been a conversation when it went to publication Darren would hand deliver me a signed copy. I always knew it would be published in paperback I never thought Darren would remember…. On 21st March, 2018 I met Darren for coffee and received my gorgeous paperback. We chatted for ages about his books and what we were both reading. What I loved was how easy the chat was and how humble Darren is. Thanks to Darren I also got to speak to Louise Jensen very briefly. I could have also continued my bookish day but my work life has been somewhat strained and I had a meeting and an event the following day. So miss sensible won out on that score but I was a happy bookish bunny. 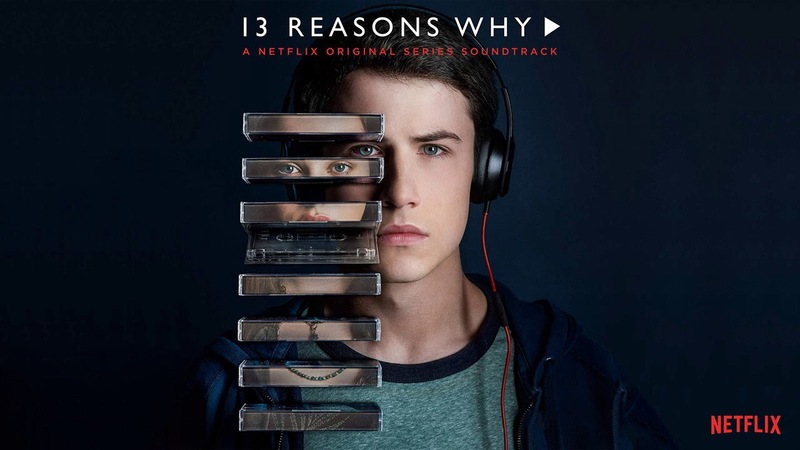 I have today just started re-reading Our Little Secret well (listening) via Audible, and I must say I don’t know what Darren was worrying about – he is in fact reading his gorgeous story. Been eager to do this for ages but thanks to being unwell my nose has been awful and my skin so dry. After a face-pack I felt like what the hell it is paperback publication day. I hope Darren has an amazing launch and I hope that everyone who attends realises how lucky and blessed they are and if they haven’t read this beauty then my what a treat they have in store. I’m enjoying having Chris back in my life once again…. Before I start are you all excited and set for publication day. Hello my lovely and thank you so much for inviting me to feature on your blog. Yes, I think I’m ready – the fizz is in the fridge and every device in the house is fully charged. • How will you spend publication day? Publication day itself is mostly spent on social media thanking everyone for their fabulous likes, posts, shares, tweets, shelfies and kind wishes. It’s always fabulous but very busy and this time around I have to be even more organised than usual as I’m heading off to the RNA Conference early the next day! • This is book number four and you are now a full time author that must feel like a dream come true? The last two years have been an absolute whirlwind and I consider myself very lucky, not only to have had 4 books published so quickly, but also to be doing the job I love every single day. It’s been a lot of hard work to get to this point but I wouldn’t change a single thing and am looking forward to writing dozens more books for decades to come. • Have you always known what you wanted to do? Yes. For as long as I can remember I always wanted to be an author but it took me years to pluck up the courage to do anything about it. A school friend of mine says she can remember me talking about wanting to write when we were in our early teens but it wasn’t until I was actually in my 30’s that I began to seriously get some words down. • Tell us something about you that no one would know? My first job was working Saturdays in a ‘record’ shop. Yep, we’re talking before CD’s here. Who would have guessed I’m that old? • As its publication day we have to talk about your latest book, where did you get your inspiration for Coming Home to Cuckoo Cottage? The initial idea for Cuckoo Cottage popped into my head when I was writing my first Christmas book, Mince Pies and Mistletoe at The Christmas Market. Gwen, the owner of Cuckoo Cottage is a wonderfully eccentric character in that book and I just knew, having discovered what she did with all the battered Christmas trees, that her home had a story of its own to tell. A research trip to Happy Days Retro Vacations to stay in a refurbished Airstream van sealed the plot and Coming Home to Cuckoo Cottage was born! •Tell us about the main characters from Coming Home to Cuckoo Cottage and your inspiration for them? Lottie Foster is the main character. She hasn’t had the easiest of starts in life and I wanted to tell her story and show that just because life has rubbish moments, it doesn’t have to be that way forever. You have to look out for the opportunities that come your way and grab them, even if they might not be what you are expecting. Lottie has two guys to keep her company at Cuckoo Cottage – Will and Matt. I’m not going to say anything about either of these characters. I’ll let you make up your own minds! 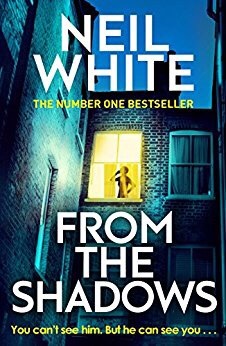 • It must be a nice feeling to see two of your novels in the Kindle sale ahead of your fourth coming out? Yes, this is really exciting and perfectly timed. I would love as many people as possible to fall in love with Wynbridge and to have both The Cherry Tree Café and Summer at Skylark Farm in the sale offers the best chance of that happening! • Now you are a full time author what is your average day like? I’m an early bird – always up around 5 or not long after. Weather permitting, I’ll start the day with a 20 minute walk and then settle down to work on the WIP until lunchtime. Afternoons are generally reserved for writing blog posts, answering emails, fiddling on Insta and occasionally flinging the vacuum cleaner around of course! I do like to write longhand sometimes so if I can’t get to the keyboard for any reason I’ll be working away in pencil. • What would you say to aspiring authors? Don’t put off getting those words down. Even if all you have are a collection of ideas – character names, bits and pieces of dialogue, settings – get them all recorded and let your creativity grow. If you have a story in you, let it out! Once you have committed your thoughts to paper, you’ll be amazed by how quickly they begin to take on a life of their own. • What sort of books do you like reading and what are you reading right now? I love reading commercial romantic fiction but I’m not adverse to the odd thriller. I’ve also started to read more historical fiction – Georgette Heyer has been a revelation. My current read is The Once in a Blue Moon Guesthouse by lovely Cressida McLaughlin, which I am absolutely loving. Heidi – Thank you so much for taking the time to answer my questions ahead of a busy day. Her debut novel, The Chery Tree Café was published in July 2015 (paperback June 2017) and Summer at Skylark Farm hit the shelves the following June. Mince Pies and Mistletoe at the Christmas Market was a hugely successful Christmas 2016 release and her fourth book, Coming Home to Cuckoo Cottage was published in July 2017. She is currently preparing for her October 2017 Christmas release, Sleigh Rides and Silver Bells at The Christmas Fair.